Thanks from the Mentorship Program Co-Chairs for a Great Program Kickoff Reception! Thanks for Joining Us at Our Annual Flushing/Long Island Dinner! March with KALAGNY at the K-Town Korea Day Parade! Take part in one of our fondest traditions by marching beside the KALAGNY banner at the Korea Day Parade TOMORROW (Saturday, Oct. 6), starting at 11 a.m. in Manhattan's K-town! Come for the Parade, join the celebration of Koreans and Korean culture past and present and then join us for lunch! Kindly RSVP here so we'll know you'll be joining us - rain or shine! The parade group will meet at the northwest corner of 38th Street and 6th Avenue (in front of Alma Bank/Soupman). We'll also send the details to everyone who RSVPs in time for the event. We are also looking for a few fantastic volunteers to be the face of KALAGNY at our Korea Day booth. Please let us know in the comments section of your RSVP (at the link above) if you'll be helping out. Hope to see you there! Hello to all. The registration deadline for KALAGNY's 2018-19 Mentorship Program has been extended to Sunday, October 7. We are excited for another year with both new and returning participants. Forming mentor-mentee bonds is a long-term commitment, and will create lasting benefits. This year's Program begins with a reception on Wednesday, October 10. Be sure to register for the Program and RSVP separately for the reception. Registration: Please click here to REGISTER for the Program by no later than October 7, 2018. Please note that participants from previous years must re-register for this year's Program. Kickoff Reception: The Mentorship Committee invites all of the Mentorship Program's registered participants to participate in the Annual Kickoff Reception on Wednesday, October 10, 6:30-9:00 p.m., at the offices of Arnold & Porter Kaye Scholer LLP (250 W. 55th St., Manhattan). The Kickoff Reception is a fun opportunity to begin to build the mentor-mentee relationship right off the bat, and we ask that all Program participants make every effort to attend. Please RSVP HERE for the Kickoff Reception no later than Monday, October 8 at 5:00 p.m. We look forward to meeting all of this year's mentors and mentees at the Kickoff! KALAGNY Leadership Advisory Committee Presiding Chair and immediate past President Bridgette Ahn has been elected President of the Network of Bar Leaders (NoBL), a coalition of 50 diverse member bar associations dedicated to bringing together the leadership of the diverse bar associations of the greater New York metropolitan area. KALAGNY Governor Eve Guillergan will also be serving NoBL during the 2018-2019 term, as its Legislative Liaison. This year's NoBL Installation Ceremony will take place on Thursday, October 11, 6-8 p.m. at the Museum of Korean American Heritage (MOKAH, 149 W. 24th St., 6th Fl.). The installation will be conducted by the Honorable George B. Daniels, United States District Court for the Southern District of New York, and the Keynote Speaker will be Barbara D. Underwood, Attorney General of the State of New York. Please click here to see the invitation. Click HERE to RSVP for the event. KALAGNY cordially invites you to our annual Flushing/Long Island Dinner on Tuesday, October 16, 7 p.m.-9 p.m. at Butcher’s Cut BBQ in Flushing, Queens (146-13 Northern Blvd., between 146th and 147th, across from Burger King). Lot parking is available behind the restaurant, which is also a 9-minute walk from the Murray Hill stop on the LIRR Port Washington Line (you must be in one of the last 4 cars of the train). The annual dinner is complimentary for dues-paid KALAGNY members and $40 for non-members. Space is strictly limited, with priority given to dues-paid members. Please RSVP by clicking here. On Wednesday, October 17 at 5:30 p.m., KALAGNY and AABANY's Real Estate, Solo & Small Firm and Labor & Employment Law Committees will present a CLE discussion on diversity and inclusion in the workplace. The event takes place at Flushing Bank in New Hyde Park (map) and includes a networking portion. Light refreshments will be served. Click here to see the event flyer (pdf). Please contact Margaret Ling at margaret.ling@aabany.org for more information. Join KALAGNY and AABANY's Real Estate and Solo & Small Firm Committees on Wednesday, October 24 at 5:30 p.m. at Flushing Bank's Manhattan office on 99 Park Avenue (map) for a CLE panel discussion on real estate fraud and title claims. Click here for the event flyer and a list of speakers (pdf). Please contact Margaret Ling at margaret.ling@aabany.org to RSVP for this event. PLEASE NOTE: the Writing Workshop is at full capacity - any new registrants will be placed on a waitlist (dues-paid KALAGNY members will have priority). If you previously registered and can no longer attend, please let us know at kalagny@gmail.com as soon as possible. On Thursday, October 25, join KALAGNY and a distinguished panel at Fordham Law School (map) for a workshop and discussion aimed at developing critical writing skills for practicing litigators. After a short reception (starting at 6:30 p.m.), participants will take a guided tour of the packet materials before concluding with a panel discussion featuring three important perspectives. Topics will include common pitfalls and helpful tips for composing your briefs, memos, letters, e-mails, and much more! 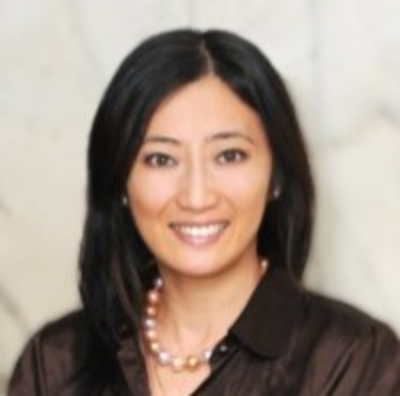 Jin Hee Lee, Deputy Director of Litigation, NAACP's Legal Defense & Educational Fund, Inc. Please click here to join the waitlist. *This workshop is co-sponsored by the Asian American Bar Association of New York (AABANY), the Association of Black Women Attorneys (ABWA), Asian Pacific American Lawyers Association of New Jersey (APALA-NJ), Filipino American Lawyers Association of New York (FALA New York), Haitian American Lawyers Association of New York (HALANY), Metropolitan Black Bar Association (MBBA), New York County Lawyers Association Asian Practice Section (NYCLA), Puerto Rican Bar Association (PRBA) and South Asian Bar Association of New York (SABANY). Career Development Workshop - "Do What You Love: Creating a Thriving and Fulfilling Career"
Join us on Monday, October 29, 6:30 p.m. at the offices of Hawkins Parnell Thackston & Young LLP (600 Lexington Ave., 8th Fl.) for a career development workshop that focuses on the question: How can we create a thriving and fulfilling career doing what we love? Led by career coach, podcast host, author, and lawyer (and KALAGNY member) Celina Lee, this program is designed to help you identify your core values and gain clarity in your goals so you can make positive progress in your career. Click here (pdf) for a more detailed description of the program and Celina’s full bio. If you wish to attend this program, please click here to register. Special thanks to KALAGNY Governor James Lee and his firm, Hawkins Parnell Thackston & Young LLP, for hosting this event! 2018-19 Mentorship Program Off to a Great Start! Thank you to everyone who joined us for the Mentorship Program Kickoff Reception! We would like to thank Arnold & Porter for hosting us at their beautiful office, and in particular, Susan L. Shin, and our awesome impromptu speakers - Andy Hahn and Sam Kwon! Thank you to Susan, Andy, and Sam for sharing about mentoring and your mentorship experience. We look forward to everyone's active participation and commitment to this year's program! Please feel free to reach out with any questions or suggestions. Another Year, Another Great Flushing/Long Island Dinner! KALAGNY held its annual Flushing/Long Island Dinner last week at Butcher’s Cut BBQ in Flushing, Queens. 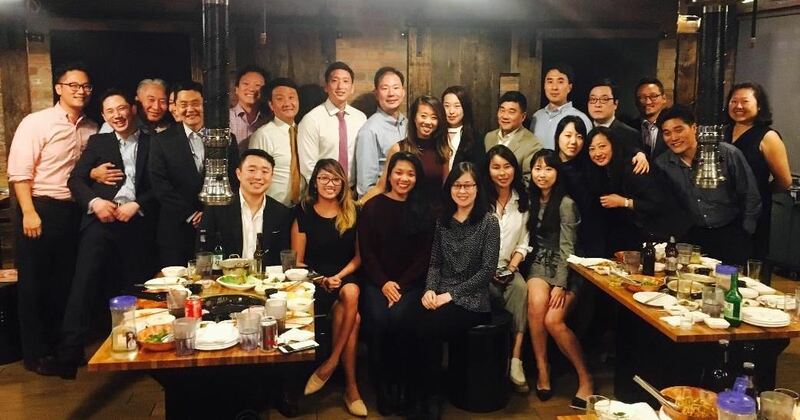 Thanks to Suyon Yi and Lawrence Han for organizing another successful dinner, bringing together our Flushing and Long Island members for great food and even better company! And thanks to Butcher's Cut BBQ for hosting! Team KALAGNY Brings Home the Trophy - Again! Thank you to everyone who came out to the fabulously no-holds-barred 2nd Annual Minus One Noraebang Karaoke Showdown, and congratulations to Team KALAGNY, the undefeated champions!! A special shoutout to our esteemed judges - the Hon. 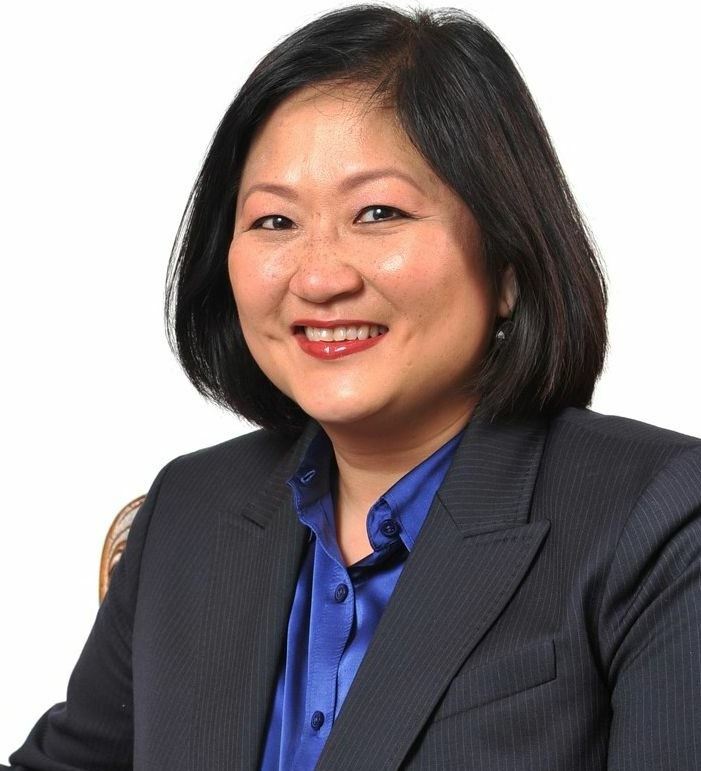 Judy Kim, the Hon. Carlo Abad, and the Hon. Anthony Cannatoro - for making all the tough calls. And cheers to all of the amazing singers: Team FALA New York's Josh Versoza, Connie Montoya, Vincent Roldan, Ariel Risinger, June Casalmir, and Anna Mercado Clark and Team KALAGNY's Robert Shin, Michael Hong, Paul Jang, Erin Millender, Diana Sur, and Iris Jun. Many thanks also to our event chair, Iris Jun, our emcees, Karen Kim and Noel Vales, and of course, to FALA New York for inspiring us to bring our 'A' game. Finally, a special thank you to our generous event sponsors, Federated National Land and Esquire Deposition Solutions, and our location sponsor, Karaoke City. Hope to see everyone at next year's Showdown (can we say "Threepeat"?)! KALAGNY Hosts Its 2nd Annual Partners/In-House Golf Outing! KALAGNY's 2nd Annual Partners/In-House Golf Outing was a huge success. We raised over $5,000 for the Han C. Choi Scholarship Fund and had a blast doing it. Thank you again to our sponsors: Advantage Title, Womble Bond Dickinson, Pashman Stein (John Kim), Wilson Sonsini (Chul Pak), Troutman Sanders, Kaufman Dolowich Voluck and our 32 players. Click here (in Korean) to see the event noted in the Korea Times. Special thanks to Kevin Lyn (Womble Bond Dickinson), A.B. Cruz III (USAA) and Anne Lee Benedict (Summit Materials) who joined us from out of state, and to our wonderful Golf Outing Host Committee Chairs, Wilbur Kim (Pfizer), John Kim (Pashman Stein) and Michael Yim (Putney Twombley). Thanks also to Julie Se (Morgan Stanley), Michael Lewis (Bolla Oil), Jane Kauh (Deutsche Bank), Michael Rhee (The Durst Organization), Young Lee (MacKay Shields) and Dillon Kim (Sandoz). And finally, congratulations to our Golf Outing winners! KALAGNY at the 2018 Korean Day Parade! 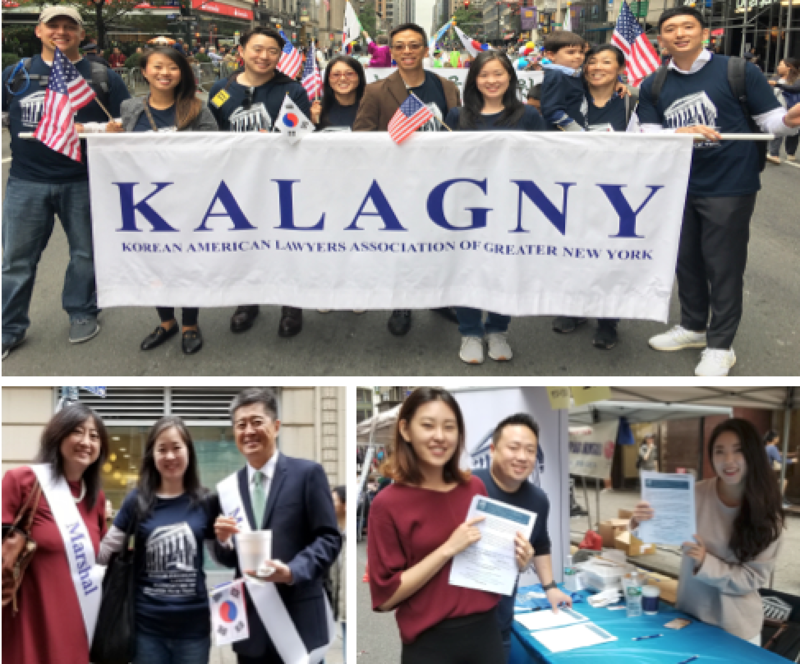 On Saturday, October 6, KALAGNY joined community organizations and other groups in the Korean Day Parade, an annual event in New York celebrating Korean culture. 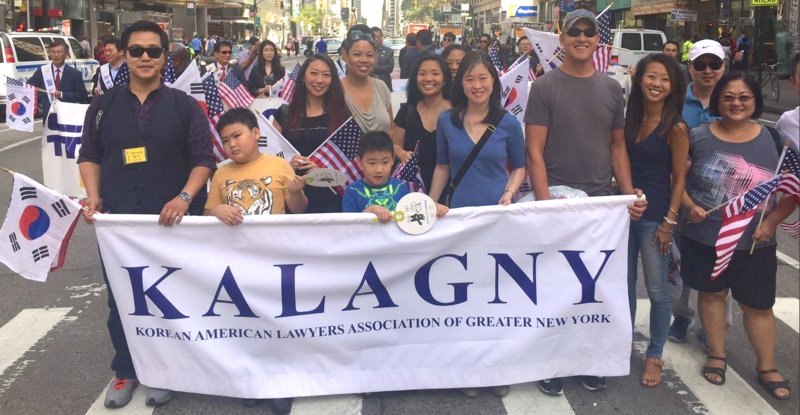 KALAGNY marched in the parade, which has become an annual tradition for KALAGNY, and held a booth to promote our monthly Pro Bono Clinics in Manhattan and Flushing. Thanks to everyone who joined us in the march (EJ Thorsen, Sean Thorsen, Maria Park, Michael Yap, James Lee, Inie Park, Sully King Park, Karen Kim and Christopher Bae) and to our booth volunteers (Jimmy Kang, Sooim Shin and Cecelia Kim). Former KALAGNY President Bridgette Ahn and KALAGNY Board Member Chul Pak served as Marshals. If you are interested in volunteering at our Pro Bono Clinics, please reach out to us at kalagny@gmail.com! In conjunction with their Creating Pathways to Diversity® Conference,the Minority Corporate Counsel Association (MCCA) is holding its annual Diversity Gala at the American Museum of Natural History (map) on October 3, 2018. The funds raised from the Diversity Gala support MCCA’s research, conferences and professional development programming throughout the year. 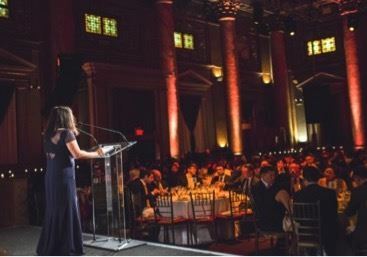 The Gala features an elegant networking reception and an awards program honoring individuals, corporate legal departments and law firms championing diversity and inclusion in the legal profession. Click here to register and to learn more about the Diversity Gala. The MinKwon Center for Community Action's 34th Annual Gala will take place on Thursday, October 18 at Dae Dong Manor in Flushing (150-24 Northern Blvd). This year's Standing Up for Justice Award honorees will be the Korean American Sanctuary Church Network and the Deutsche Bank Community Development Finance Group. Click here for sponsorship information and to purchase tickets. MOI'M, a Korean nonprofit creative networking organization, invites you to MOI’M Red Carpet, their biennial signature event. On Saturday, October 20, from 8 p.m. to midnight at Gotham Hall (1356 Broadway), MOI’M Red Carpet 2018 will present a lavish and elegant Hollywood night in NYC, open to anyone with an interest in Korean culture. Celebrate and make cherished memories with accomplished Korean professionals and students. Inspire and be inspired by other New Yorkers who share a passion for doing what they love. The event program includes a special guest speaker, a live auction, icebreakers and games, and additional time for networking. MOI’M Red Carpet’s dress code is Cocktail Dress/Dress to Impress. For more details, visit the MOI’M Red Carpet 2018 event site or the Facebook Event Page. $300 per ticket with discount code (or $600 full price). Click here to purchase tickets. Please note that ticket quantities are limited, so register early to get your tickets before they sell out! 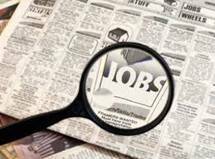 The New York State Office of the Attorney General (OAG) will host a fall recruitment event on Wednesday, October 24 at 5:30 p.m. at the OAG's Manhattan offices at 28 Liberty Street, 16th Floor (map). The program features a welcome by Attorney General Barbara Underwood, followed by a panel discussion and table talk session. The event will provide an opportunity to engage with attorneys from each of the OAG's practice bureaus/divisions and to learn more about the OAG's work. RSVP is required to attend. Links to the event flyer and registration can be found by clicking here. 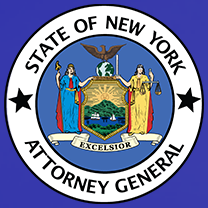 Please note that OAG attorneys must be US citizens, admitted to the NYS bar and NYS residents. If you have questions regarding these qualifications or about the event, please contact OAG Legal Recruitment (recruitment@ag.ny.gov or 212.416.8080). 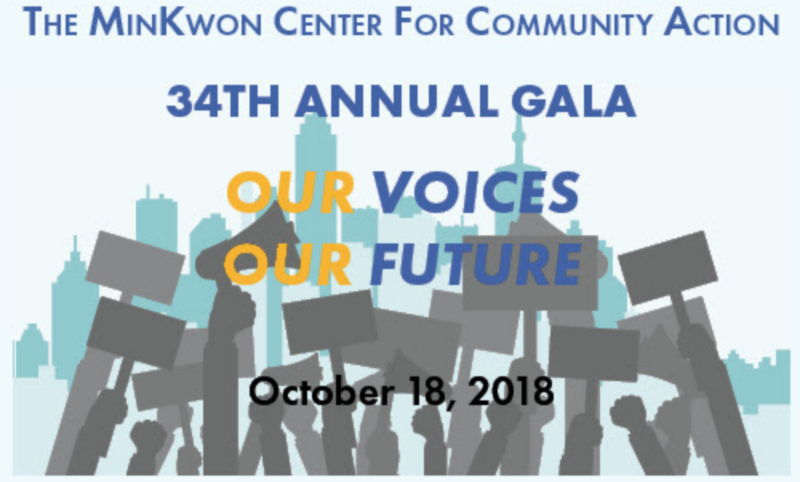 Korean American Civic Empowerment (KACE) will host its 24th Annual Gala on Thursday, October 25 at Dae Dong Manor in Flushing (150-24 Northern Blvd). This year's Gala theme is "Protecting and Advocating for Immigrant Communities." Click here for registration and sponsorship information. To celebrate the 70th anniversary of the UN’s Declaration of Human Rights and the 73rd UN General Assembly, PSCORE, a Seoul-based NGO focused on human rights in North Korea, invites American lawyers as well as Korean American community members to an event to raise awareness of human rights issues in North Korea and form a professional network in the U.S. The Executive Chairman of PSCORE, Taehoon Kim (former head judge of the Seoul District Court), will be in attendance. The event takes place on Thursday, October 25, 6:30 p.m. at the Manhattan office of Kim Song & Associates PLLC (16 W. 32nd St, Rm. 607). A light dinner and refreshments will be served. For more information, please see the event flyer here (pdf). RSVP by email to: ashley.song@songnlaw.com. Please note that today (Oct. 19) is the final day to RSVP. The Greater Flushing Chamber of Commerce invites you its 2018 Gala, “Banking on Flushing," on Thursday, October 25, 6-8 p.m., at the Sheraton LaGuardia East Hotel (135-20 39th Ave, Flushing). The event will honor the memory of the late Franklin F. Regan, Jr. with a community leadership award named after him. NYC Public Advocate Letitia James will be the keynote speaker, and honorees will include Dr. Mesook Hyun and the Esther Ha Foundation; Pauline Huang, Founder & President of United Commerce Services and Chairperson of the Queens Botanical Garden; and Dr. Jack Eichenbaum, Queens Borough Historian and Board Member of the Queens Historical Society. To purchase tickets, click here. Gala sponsorship and advertising opportunities can be found here (pdf).